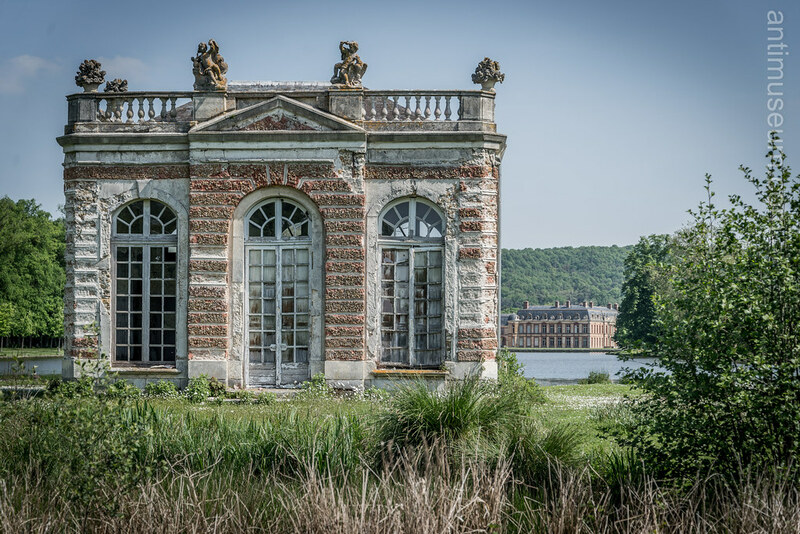 Dampierre is a beautiful yet somewhat decrepit chateau (background) 20km South West of Paris. 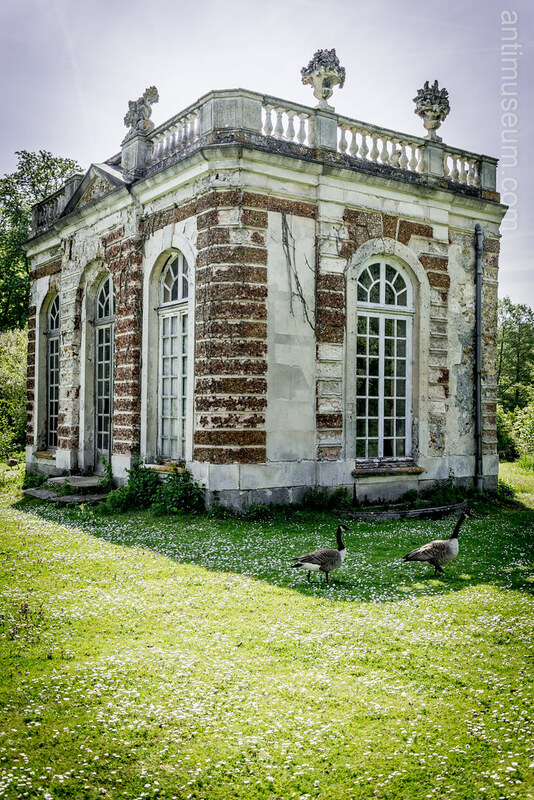 At the end of the private Park I found that folly in an even sorrier state which makes for interesting photos anyway. Here they are. 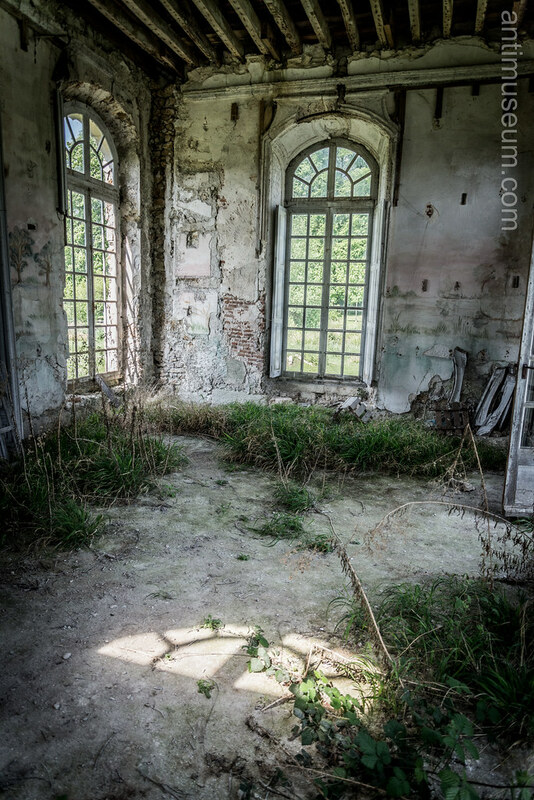 Grass is growing inside the folly, the windows are shattered, the 18th century wood panelling is broken and the wooden floor has been broken down to pieces. 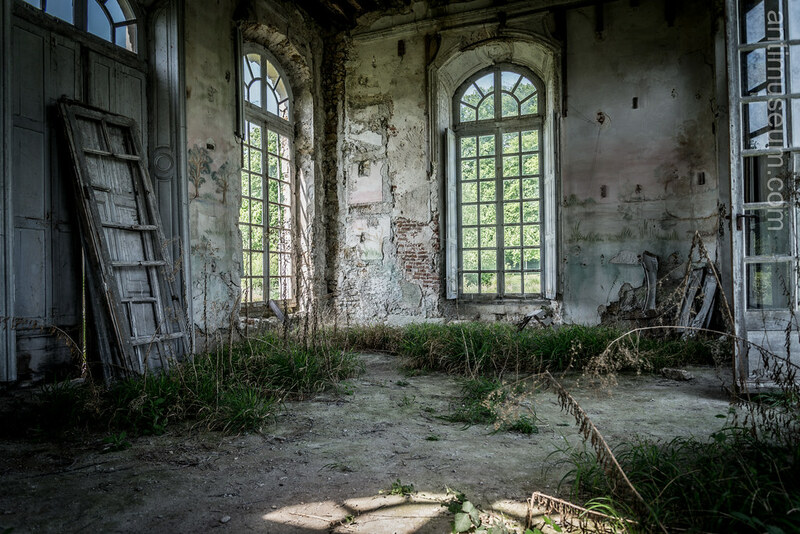 A subtle HDR process was applied to that picture in order to highlight details both from the outside and the inside with constant light and image quality. One can see the murals very well in that shot. This must have been a beautiful building in its heyday. At least, this place is keeping ducks happy.